This is the second post in this series. Here, I will focus on how you can reach your target audience. Google Adwords allows you to reach specific demographics, select appropriate keywords, add placements, and use scripts while setting up your video campaign. The latter helps you save time and optimize your PPC video campaigns. Specify the characteristics of your target audience. 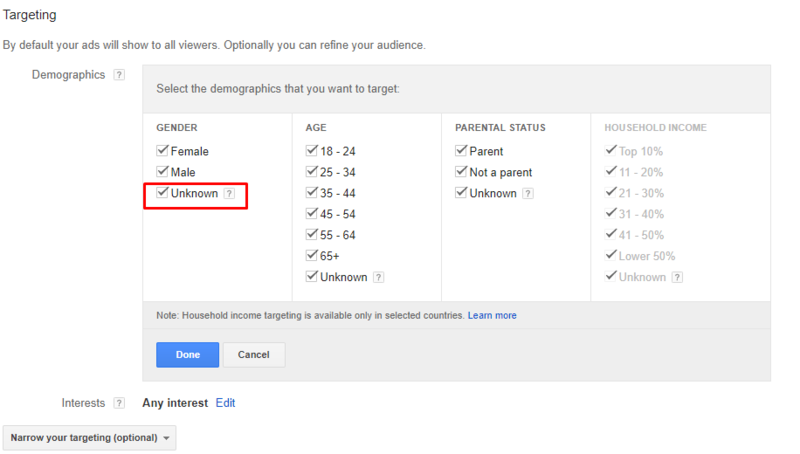 An important rule here: if you exclude gender or any age group, then select “Unknown” too. By removing a checkmark there, you will significantly reduce reach since there is a huge number of users who are not defined by the system in any of the provided demographic groups. Please note that targeting on family income works more or less correctly in the U.S. only. If you create a campaign by interests, simply select the ones and add relevant keywords. Later, after you have created a campaign by interests, you will need to distinguish between the two types of interests, namely affinity audiences (reach) and in-market audiences (ROI). Despite the similarities, these audiences usually demonstrate different effectiveness. Choose keywords based on the same principle as for search campaigns. In addition, you need to think what keywords your clients use while searching for your product or service on YouTube. For example, you advertise a food processor. 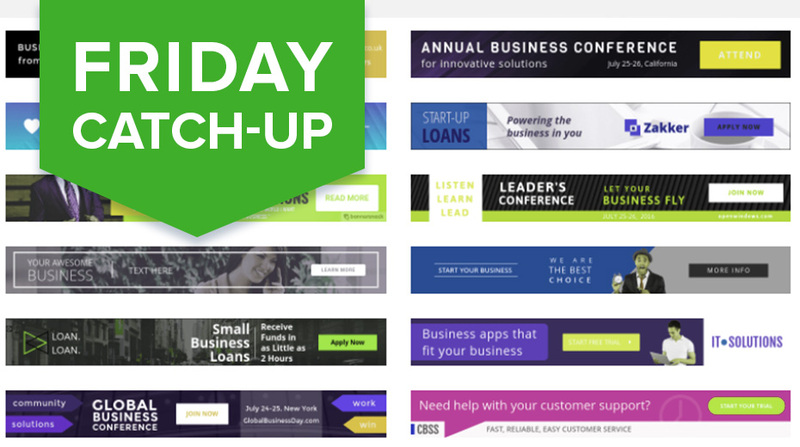 Your potential customers will be interested in how it looks and what options it has. They will search for reviews and videos with the opinions of buyers. Therefore, it is worth adding keywords like “review”, “opinion”, “unpacking,” and so on. Add them in broad match. For this type of targeting, you should add video channels or specific videos where you want to show your video ads. For example, if you advertise a travel agency, it makes sense to select video channels of various travel bloggers and travel programs. 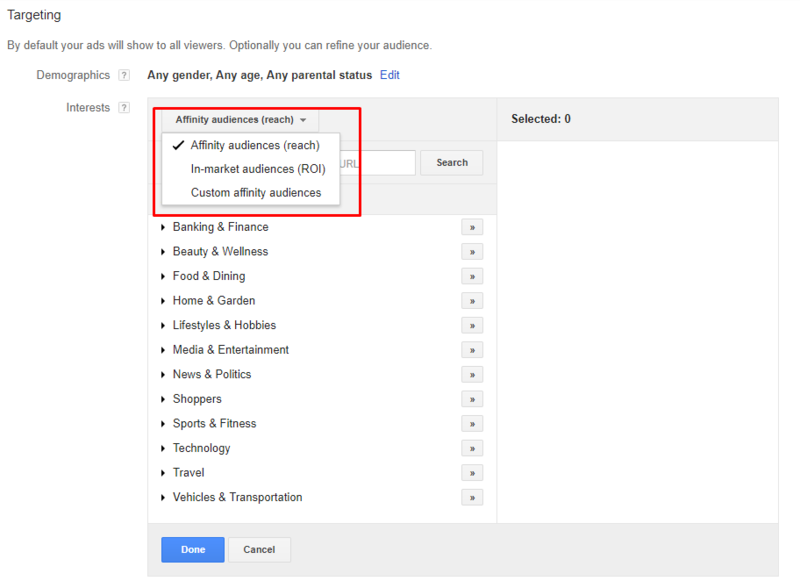 Remarketing audiences can be taken from a general remarketing list in Google AdWords. For example, a list of users who have already visited your site. 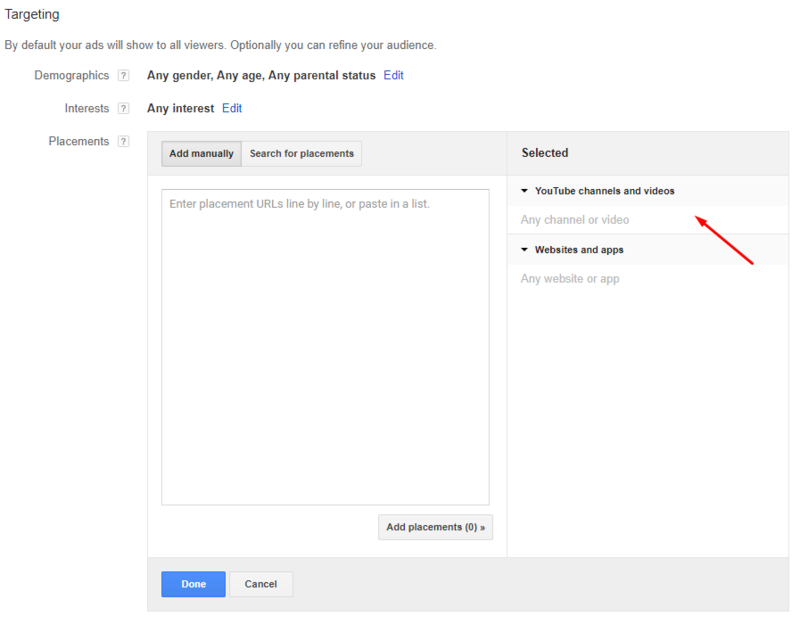 After you fill in all the necessary forms, the system prompts you to link your YouTube and Google AdWords accounts. More information about remarketing to YouTube viewers is available here. It is highly recommended to immediately link these accounts. This will allow you to modify call-to-action overlays in your videos by selecting “Video” in the ad group and clicking on “Edit call-to-action” on the corresponding settings. When running your campaigns on YouTube, you may face the situation when your ads are shown in children’s videos, cartoons, and other non-relevant content. This is often caused by a low bidding. Such videos are certainly “junk”, so they need to be added to the exclusion list for the entire account. You have to do this constantly, so it is recommended to connect the script for cleaning ad placements. The script adds videos that contain specific keywords in the title or tags to the list of excluded placements at the account level. 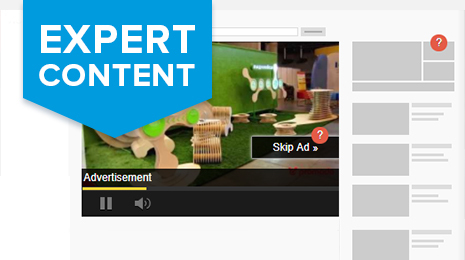 To find out more about how to exclude channels from YouTube advertising study this expert article. You need to copy this script and add it to your account. Then, go to “Extended API” and click “Save”. Next, in the General Library, create a “Video Channels” list of excluded placements where all the excluded videos and channels found by the script will be placed. 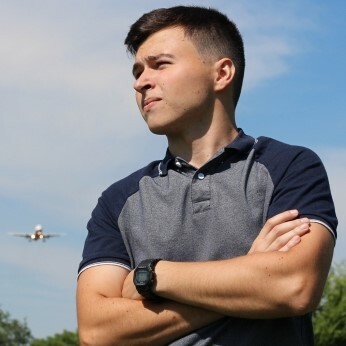 Be sure to include all of your video campaigns in the application settings for this list. After that, click on this link and select the “YouTube Data API” in the “Library” tab, at the top, there will be an “Enable” button. Click on it. 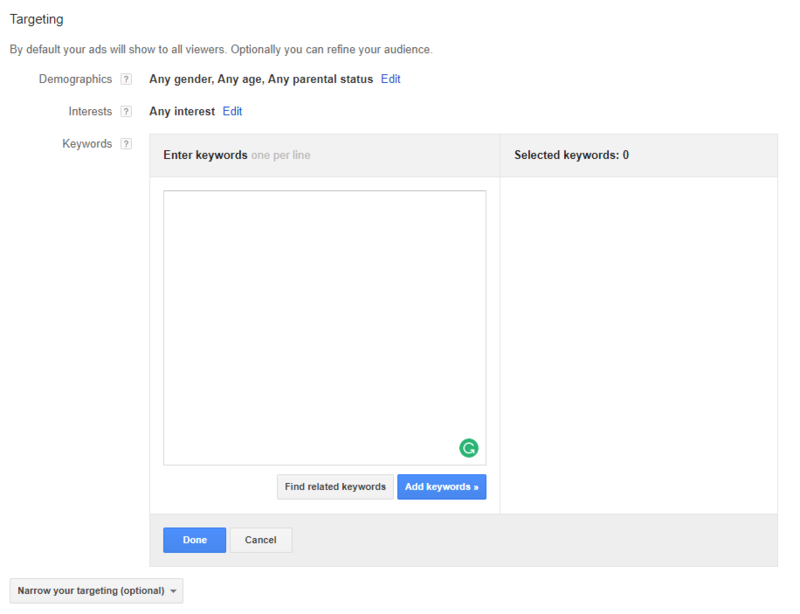 Then in the AdWords account, you need to test the script. Open the script and click “Preview”. If you did everything correctly, no errors should arise. Then set an authorization frequency and notification frequency, e.g. at 10 AM every day a notification will be sent to your e-mail. It is important to understand how many people are reached by your advertising campaign. The coverage for each campaign can be seen by adding a unique cookie column. But it should be taken into account that when you aggregate the reach of each campaign, you will receive data that may have an intersection of audiences. That is when one user falls into one targeting in the first campaign, and the next day he or she was targeted differently in the second campaign. Often, companies and marketers are skeptical about video advertising, arguing that it does not result in direct conversions. Well yes, the effect of this tool can be observed later than expected. The very mechanism of video advertising mostly aims to increase the brand awareness rather than growing sales. So, if you want to reach more potentials and make your brand more popular both online and offline, consider launching a PPC campaign and use YouTube videos as placements. If you have any questions, don’t hesitate to ask them in the comments below.